I’m looking around my house right now and realize that probably about half of my furniture is second hand furniture. I have a few heirloom pieces… one amazing cabinet that Bikeman’s grandfather made and an ice box from the early 20th century. But many others have come from thrift stores and garage sales. So, today I’m sharing a few things we’ve learned from buying second hand furniture. Let me know your tips, too, and I’ll update this later. Know where to find the best used furniture. I wrote a whole article about this a few weeks ago. Check it out HERE. Smell it before you buy it. Really… up close & personal. Open doors and smell inside cabinets. Smell fabric, etc. Smoke and pet odors are HARD to remove. Research how to remove smells and practice on cheap finds. Most smells can be removed but sometimes it’s not worth the effort. Look for major damage. Check thoroughly for splits or cracks in wood. Small things are easy to repair – missing handles, scratches, sticking drawers, loose or missing veneer, and even chips are easy to fix. 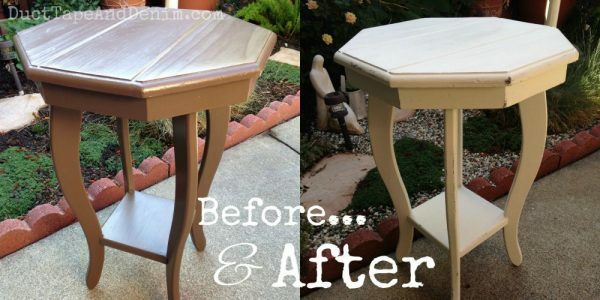 The finish doesn’t matter at all… you can easily stain or paint over just about anything. I don’t usually bother with particle board pieces or those with cardboard backs or drawer bottoms. But if it’s cheap and fits your need — go for it. Look for quality pieces. I mentioned that I usually skip over particle board furniture. We’ve owned plenty of that in the past and I now know from experience that they don’t hold up to how we treat furniture around our house! So over the years we’ve replaced this lower quality furniture with solid wood pieces. Look for solid wood, quality construction, dovetail drawers, etc. I don’t always pass on pressed wood pieces (Here’s an example of a little kitchen shelf I just worked on recently.) but solid wood is always easier to fix and will last. it’s worth the effort. Start small. 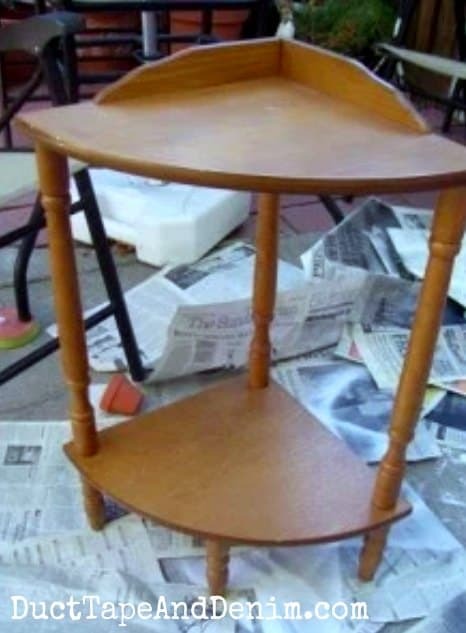 I don’t recommended starting with a chair with detailed spindles like my first project! Your best bet will be an end table or a coffee table. 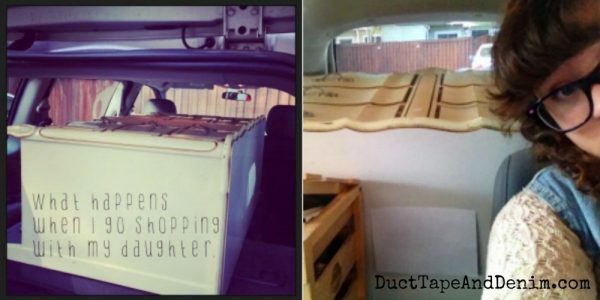 If you want to upholster, start with a simple stool or chair with a removable seat cushion. Think outside the box. For example, think about using a dresser as a bathroom cabinet, a media cabinet as a coffee table, or separating the top and bottom of a china hutch. Know when to negotiate. Not at a thrift store. Yes, at a flea market or garage sale. Maybe at an antique store. I’ll probably write a whole article soon about selling second hand furniture but until then, here are a few more tips. Keep in mind what the customer wants. I’d love to paint all my jewelry cabinets turquoise, but my customers like white and gray. So if I want to sell them I need to think about what my customers like, not the paint finish and color I like. It’s usually safe to stick with neutral colors: vintage white, gray, and black are always good sellers. Small red and blue pieces do well, too. I have the hardest time selling yellow and green painted pieces. Take a painting class. Most of what I know about painting furniture I learned just by painting. That’s always my first recommendation — just do it. Buy a small, cheap end table and practice. Try out some different paints. Watch YouTube videos. But then there will come a time that you want to learn some specialty techniques. That’s when I would recommend taking a class. Many local shops have a hands on class. I’m a member of a Paint Finish of the Month Club where we get new tutorial videos every month. If you have a booth or a space at a flea market paint all your pieces for the month in a cohesive color scheme. Your space will look great and you may find someone who loves that look and buys you out! Look for pieces that can be used in different ways. 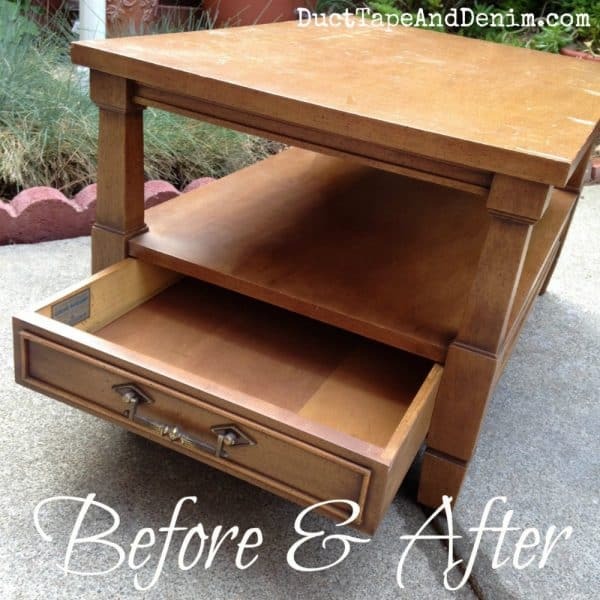 Versatile pieces of furniture such as small tables and dressers are easy to refurbish and sell well. Thanks for reading such a long article! Please sign up for our thrift store makeover email list to have all future articles sent straight to your inbox.